I'm a front-end UI/UX developer. 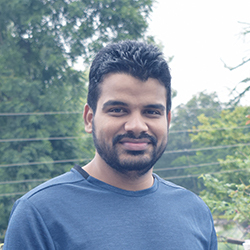 I'm currently living in Bengaluru, India and working as UI Consultant for Liferay, Inc.
My core skills are in HTML, CSS, & JS. I worked as a front-end developer for FormGet , and used to create WordPress Themes in free time. I write code on Github. You can see my work history on LinkedIn. but you can take a look at my Resume anyway.